DC Office Bongaigaon Interview Notification for Asstt. Professors & Asstt. Librarian for PDUAM. 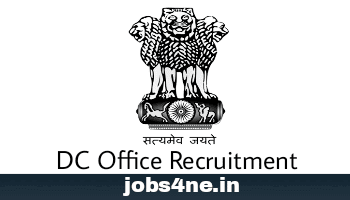 - Jobs4NE : Jobs in Assam and North East India. DC Office Bongaigaon Interview Notification for Asstt. Professors & Asstt. Librarian for PDUAM. Date & Time of Interview: 17.06.2017 & 18.06.2017 at 10:00 A.M. to 04:00 P.M. Date & Time of Interview: 19.06.2017 & 20.06.2017 at 10:00 A.M. to 04:00 P.M.
3. Name of post: Asstt. Librarian. Date & Time of Interview: 21.06.2017 at 10:00 A.M. to 04:00 P.M.